Create your own personal guides for Cape Town by clicking the icon in the top right corner. Ten of Cape Town's Best! Winelands in Cape Town, Constantia, Stellenbosch, Paarl and surrounding regions are delivering award winning wines to the world after years of political isolation. A rich culture of wine, food, history & hospitality awaits discovery. 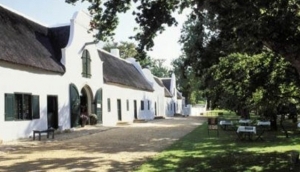 Centuries of tradition along with the spectacular geography and climate have produced Cape wines of distinction which are full of character, have unique terroir and are of world-class standards. Boutique hotels, spas and fine dining restaurants are regularly emerging on the wine farms, while some winemakers are developing a pseudo rock star status. If you are a business in Cape Town and have an event to promote you can do it on My Guide at no cost. Login to create your guides for Cape Town. This guide has been created by a Cape Town Local Expert. My Guide Cape Town is part of the global My Guide Network of Online & Mobile travel guides. Our Complete Website Solution frees up the time, cost and technical expertise required to build and operate your own successful online travel business. Sign up for our mailing list to get latest updates and offers for Cape Town.